I first came across squash early in my professional career when I took a job at a UK scientific research establishment. The main research site covered a huge area and housed offices, laboratories, bunkers where things got blown up, warehouses, a nuclear reactor (just a little one) and, outside the heavily-manned security gates, four squash courts. It was on those courts that I first saw squash being played, where I first learned to play the game, and where I first won a match, even though I don’t exactly recollect who my hapless opponent was at the time. But, whoever it was, there was a fair chance that it was a fellow scientist; a chemist, a physicist or maybe one of the nuclear-flavoured scientists who made the sharp bits to stick on the end of missiles. 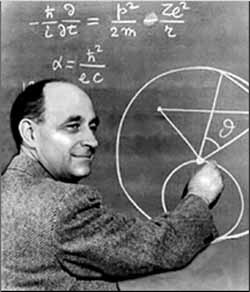 It’s pretty well known, of course, that the first atomic pile was constructed on a disused squash court in Chicago by an international team of scientists led by the Italian-born physicist, Enrico Fermi. 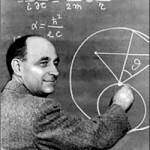 There’s no evidence that Fermi or any of his team were squash players but one thing is certain. If you bring together enough scientists to work on pioneering initiatives or to push back the boundaries of scientific knowledge, they will inevitably want to socialise. They’ll want to share their leisure time, their news, their hobbies and their interests. And, given the opportunity, they’ll want to play squash. One current pioneering initiative is the search for the Higgs Boson, the elusive nuclear particle which gives all objects their mass. The search is taking place at CERN, the European Organisation for Nuclear Research, near Geneva in Switzerland. CERN, , operates the world’s largest particle physics laboratory including the Large Hadron Collider (LHC), a particle accelerator designed to unlock the secrets of the Universe. CERN employs almost 8000 scientists and engineers representing over 600 universities and more than 100 nationalities. Plenty of people to support a few squash leagues you might think. And you’d be right. The CERN Squash Club was formed in 1999 and currently boasts a league membership of over 100, many of whom, I expect, will be called ‘Doctor’ or ‘Professor’ Something-or-Other. However, Cox does have form when it comes to squash both as a player and as a former rock musician. His first band, Dare, rehearsed and played its first gig at the Maple Squash Club in Oldham, Lancashire. 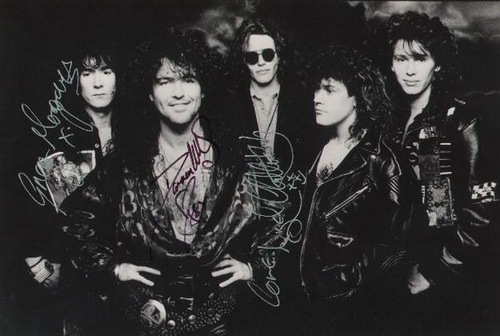 Dare’s second single, ‘The Raindance’, was released as a 7” vinyl disc in a gatefold cover featuring five profile cards, each with trivia about the band members. 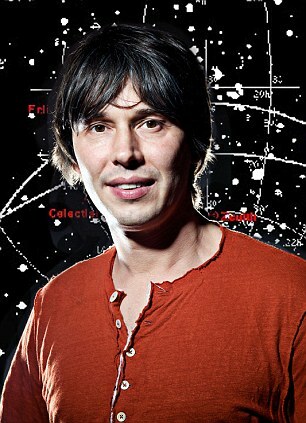 Interestingly, Cox listed his hobbies as “squash, running, eating,” with no mention of physics, particle or otherwise. In fact, you can still check out Dare with Brian Cox on keyboards (and extremely long hair) on YouTube. But I really wouldn’t recommend it. 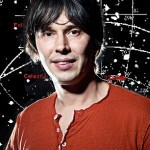 What I would suggest you check out on YouTube, however, is Brian Cox’s lecture in late 2011 at The Royal Institution of Great Britain, the oldest organisation dedicated to scientific education and research in the world. Squash doesn’t get a mention, I’m afraid, but there is an unusual connection between the Royal Institution itself and another prominent squash playing scientist. Baroness Susan Greenfield is a former Director of the RI as well as being a neuroscientist and Professor of Synaptic Pharmacology at Lincoln College, Oxford. She’s written several popular-science books about the brain and consciousness, regularly gives public lectures, and appears on radio and television. She also holds 20 honorary degrees. The Baroness, who’s a relatively recent convert to squash, plays three times a week and must be one of the most ennobled and highly academically qualified squash players in history. In recent years, she’s expressed concerns that modern technology, and in particular social networking sites such as Facebook, may have a negative impact on child development. However, she’s also attracted a fair amount of criticism from other scientists who’ve questioned her claims, suggesting that she hasn’t carried out any meaningful research or properly evaluated the available evidence. This kind of controversy is, of course, part and parcel of science which uses ‘peer-group review’ to question scientific methods and findings as well as their interpretation. Nevertheless, things can get rather personal as passions rise, egos intervene and the science gets forgotten. Which all sounds like an opportunity for scientists to incorporate a friendly game of squash into the peer review process. That’s just my opinion of course. Thanks to the CERN Squash Club. You can find out more about Professor Brian Cox’s rocker past at ‘Love it Loud’ and get to know Baroness Susan Greenfield through her recent interview by the Financial Times.